At meteoAnalysis our work is forensic meteorology–the analysis of weather for use in court or other legal proceedings. 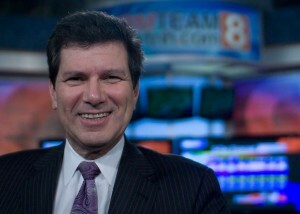 Geoff Fox has been an operational forecaster on television for over 25 years. A graduate of the Broadcast Meteorology Program at Mississippi State University with recognition for superior academic performance he is a full member of the American Meteorological Society and holder of the AMS Broadcast Seal of Approval. As a broadcaster Geoff is the recipient of seven Emmy awards. He is a proven communicator who can clearly and simply explain complex meteorological phenomena.